If you think that age will be enough to convince the IRS to ignore any mistakes you’ve made on your tax returns, you should think again. A 71-year-old man who worked as a professional Ferrari mechanic recently learned this when he was found guilty of tax evasion and sentenced to spend the next two years of his life in prison. According the IRS, the guilty party, Terry Myr, convinced a majority of his clients to either pay him in cash, or to use their debit cards when they settled their repair bill. He then neglected to tell the IRS about how much cash he was paid. Even though Myr has proclaimed himself innocent since the first day he was accused of tax evasion, his lawyer was unable to convince the tax court of his innocence. In addition to finding Myr guilty of tax evasion and sentencing him to two years in prison, he has also been ordered to pay the IRS $195,000 in back taxes. When all was said and done, Myr was found guilty of one charge of tax evasion and four different accounts of failure to file his yearly income taxes. During his trial, it was revealed that between the various penalties and interest, Myr owed $195,000 in back taxes. He also neglected to file tax returns from 2000 through 2003. According the lawyer representing the IRS, Myr took assets he owned and transferred them to other sources in an attempt to hide his total yearly income from the IRS. Myr’s might have gotten away with things hand it not been for a red flag getting thrown up when a woman in Belgian sent Myr $610,000 in exchange for a very rare, engine for her car. She reported the purchase on her tax forms, but Myr neglected to reveal the purchase to the IRS when he filed his income taxes. Myr’s is not an isolated case. In any given year, an estimated 2,500 people are convicted of tax evasion and most of those are regular people, not celebrities. Each year the IRS files charges against multiple tax payers each year and in many cases successfully mounts cases against them. The problem is that many of the tax evasions cases that find their way into tax court each year aren’t a result of willful tax fraud, but rather a simple mistake being made on the forms, or the filer not understanding a particular tax law. If something in your tax returns sends up a red flag to the IRS and they launch an audit, you shouldn’t panic and you shouldn’t assume you can handle the matter on you own. 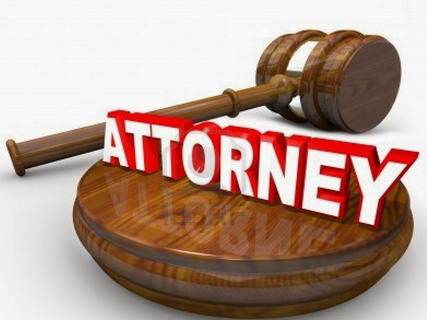 The best thing you can do is touch base with an experienced tax attorney and have them review your case. If the tax attorney discovers that you do in fact owe the government back taxes, they will stand beside you and take the steps to keep the damage as minimal as they possibly can. Not only is there a good chance that your tax attorney will keep you out of tax court and make sure you’re not found guilty of tax evasion, but they will also do everything they can to help you reach a reasonable settlement. This isn’t the first time that W. Otis Culpepper, a Detroit attorney, has found himself in tax court. Not only was he sent to prison once for tax evasion, but he there was also a period of time when he was not allowed to practice law. That was back in 1988 and Culpepper spent three years in prison. Now the Detroit lawyer is facing additional serious tax evasion charges. This time the IRS is going after Culpepper for a total of five years’ worth of taxes that they say he failed to pay. Based on information provided by the IRS, Culpepper owes the IRS $192,000. Culpepper hasn’t let his past slow him down, despite the guilty verdict in 1988, Culpepper enjoys a thriving legal practice and his clients include Miss USA as well as some notorious members of street gangs in a variety of criminal cases. At the moment, the federal government has filed criminal charges against Culpepper. They’re happy to keep everything in civil court, providing that Culpepper pays the taxes he should have paid for the years of 2004 through 2009. Based on the paperwork the IRS filed, it looks like the government agency made several attempts to resolve the matter without filing charges against Culpepper but were unable to convince the attorney to resolve the matter without getting the court involved. Check out: ct tax lawyers. Culpepper has declined to comment about the case. The media always makes it sound like the only people who ever get charged with tax evasions are celebrities or people who enjoy a position of power, such as Culpepper, but any good tax attorney will be quick to tell you that while the high profile cases generate the most news, there are plenty of times when the IRS has gone after the average joe. A large number of the tax evasions cases are brought to the IRS’s attention do to red flags appearing on the taxpayers returns. The red flags prompt and audit, and if the audit turns up a problem, the tax payer could find themselves in deep trouble with the federal government. .The IRS takes income tax fraud very seriously. If they suspect that you owe back taxes or haven’t been completely forthright on your taxes return, they will apply pressure in an attempt ot encourage you to pay. If you find yourself owing back taxes to the government, it might seem like nothing can make them back down. Visit us at: https://www.irsmedic.com. What tax attorneys know that you might not understand is that the IRS is more interested in getting the back taxes paid off than taking you to court. In fact, they’d like to file less tax evasions cases since cost them money. On the other hand, they want to do everything they can think of to convince people to stop committing willful tax evasion, something that is estimated to cost the US government $21 billion in 2016, which would be an nearly $15 billion increase since 2014. If you’ve done something to attract the IRS’s attention, the best thing you can do for yourself a good, experience tax attorney. Not only will the tax attorney open the lines of communication between you and the IRS, but they will also work to get you on a reasonable payment plan and to reduce the fines and interest. Other part of this amazing article is published here. IRS tax problems need to be handled very carefully as a tiny mistake can cost you a lot including jail time. The tax laws and legalities which are involved with the process of tax settlement of your IRS taxes are very complicated and frustrating at times. To save yourself and your business IRS penalties, interest and possible criminal charges, hiring a tax attorney is highly advisable as they will be able to expertly handle your situation. A tax attorney, CPA or the IRS licensed enrolled agent should understand everything about tax laws and procedures. They will have the expertise to devise a specific action plan for your situation as they are trained and experienced enough to handle the technicalities involved in the tax process. For IRS predicaments an IRS tax attorney can give you attorney-client privilege and for law cases your attorney would be exempt from testifying against you. If your case went to trial and you have been working with a CPA or tax preparer to help you, they could be made to testify against! 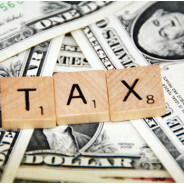 It is only a tax lawyer that would have the experience in achieving your tax settlements. A CPA might know a few of the tax settlement programs however they won’t fully understand all of the intricacies of different tax programs. Unfortunately tax laws and codes are multifaceted and often change. 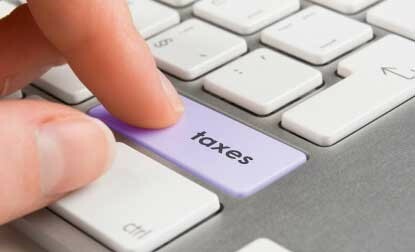 There are also programs which can help a taxpayer in trouble by settling or reducing amount of tax liability owed which only a knowledgeable tax attorney will know how to qualify you for. It is certainly not advisable to take the risk of wrong advice during such a dangerous time as this could be very expensive. If you are hiring a tax attorney it probably means you are in some sort of trouble with the IRS. It is important to have someone who is very experienced, honest and works with you rather than against you. Cut-off dates should be resolved to escape more penalties. If the IRS doesn’t acknowledge that you have been trying to sort out you mistakes, you need to get in contact with an attorney. A tax attorney will draft letters to send to the IRS to get their attention. As well as this most tax attorneys can contact the IRS with matters over the phone due to having direct contact information for the required branches which makes communication quicker and more effective. Once you have decided on a tax attorney you should have a rough idea of IRS procedures and a tax lawyer will help to get them to accept an offer. The IRS will look at your income and assets in order to determine how much you can reasonably pay back. To do this they will require detailed information about your financial situation, including confirmable information about your cash, investments, available credit, assets, income and debt. As well as this they will require information regarding your future income. 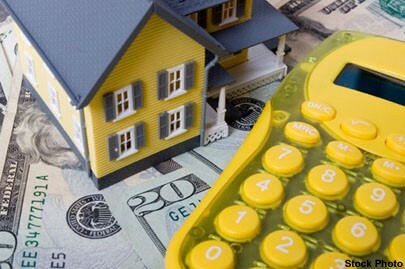 When you finally submit an offer to the IRS it must be realistic to your earnings and assets. It must be equal to the “realizable value” of your assets along with the amount of money that the IRS could take from any forthcoming income that you may earn.